Private Seville Food & Tapas Tours to explore the best tapas & restaurants! According to many residents of the Triana neighborhood, crossing to this side of the river is like entering another city. 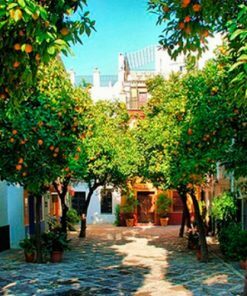 This neighborhood is famous for being one of the birthplaces of flamenco and many of Seville’s great bullfighters. 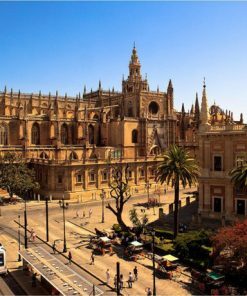 Triana neighbourhood is known for being the birthplace of soulful flamenco dancers and valiant bullfighters, as well as the site of Seville’s famous ceramic industry. 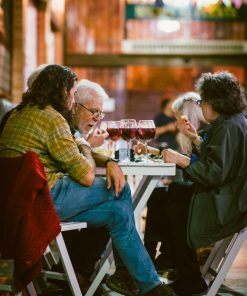 It is also known as the go-to spot for delicious, non-touristy tapas spots. On this unforgettable 3-hour tour, a guide will show you the best tapas bars that only the locals know about. 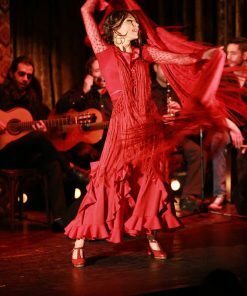 From the most traditional tapas to tapas with a modern twist, all the places will leave you asking for more. And of course it makes perfect sense to accompany all this tapas with a good glass of wine. 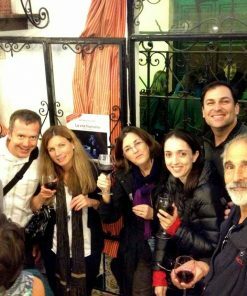 The tour guide will help you discover the aromas and flavors of wines that go well with this Andalusian cuisine. 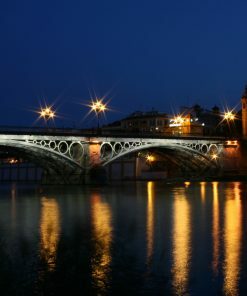 First, we will meet at Triana Bridge (also called Isabel 2nd Bridge). 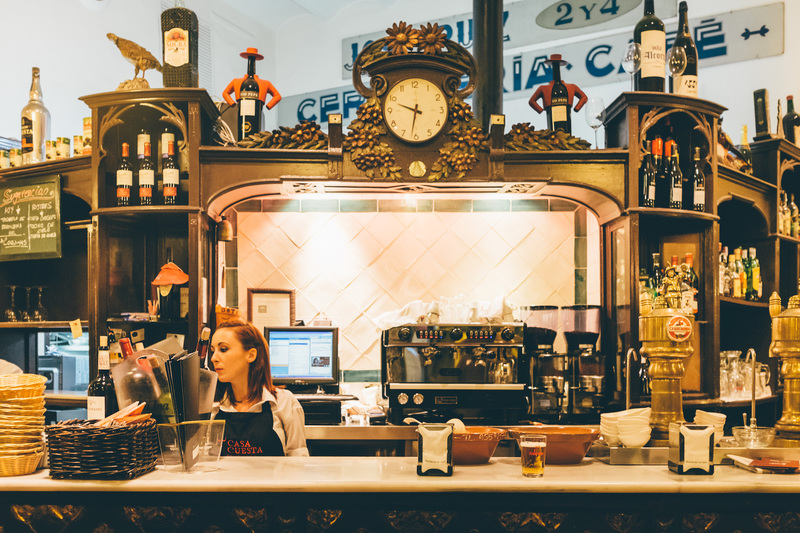 From here, we will explore the local marketplace with its fresh produce, check out some major monuments, and arrive at the first tapas spot. 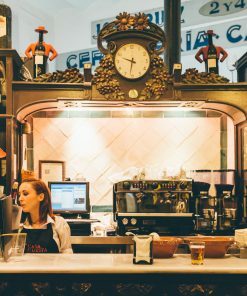 After this, we will meander through the streets and see a variety of different tapas places, from a loud and lively stand-up tavern to a tranquil, formal sit-down restaurant. 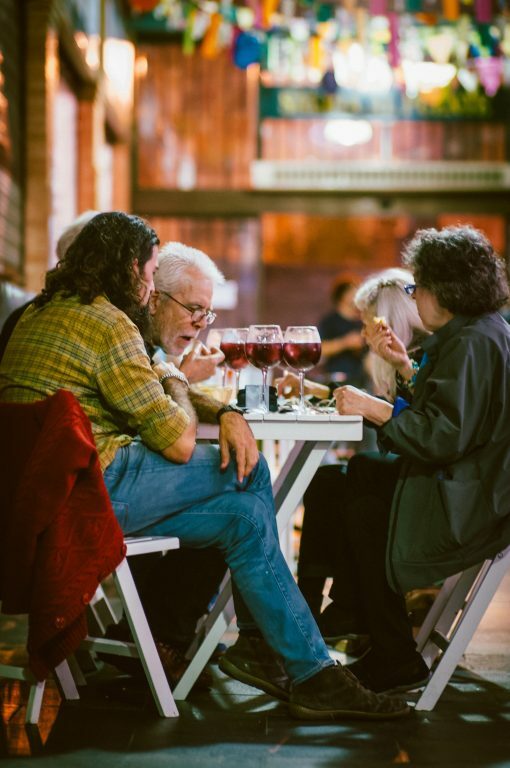 At each of the tapas bars, you will have a drink and a choice of one plate to share– which means that if you are in a group with a few people, you will get to try a dozen different dishes! 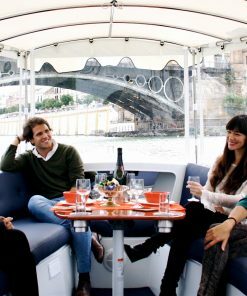 After this, we will return back to the meeting point by the lustrous Guadalquivir River so that you could stroll by the river (and perhaps check out some fantastic live flamenco!). 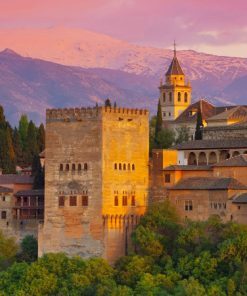 Note: This tour has a little bit of everything, so everyone from couples to families can enjoy this taste of Andalusia! Also, we can accommodate any dietary needs as Spanish food can include vegetarian, non-pork and other options! 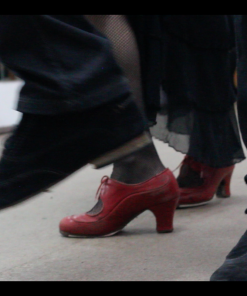 Meeting point: In front of the Santander Bank at San Jacinto St. one in Triana. You Will Be Able To Try Some Of The Following (We Will Try Our Best to Accommodate You): Aubergine with Honey, Pisto, Spinach with Chickpeas, Carillada, Punta de Solomillo, Champions, Cured Cheese, Salmorejo, Pickled Carrots, Bread, Picos, Regaña (Special Bread from Andalusia). 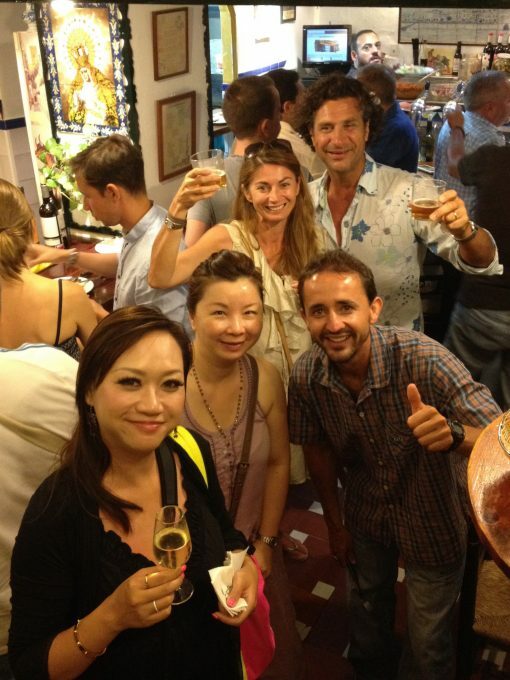 David showed us the places to get the best tapas in Sevilla/Triana. We finally had good tapas and learned a lot as well. Is was a fantastic afternoon! 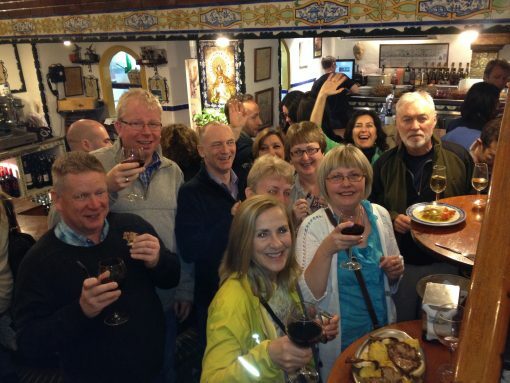 Our travel agent booked us a half day walking tour with tapas tasting with this company. 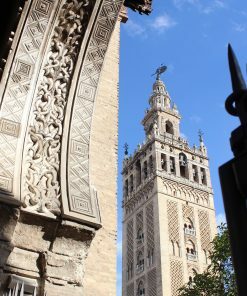 Seville with only 700,000 inhabitants is a very walkable city and David our guide led us on a wonderfully leisurely 2-3hr walk around the main sights. 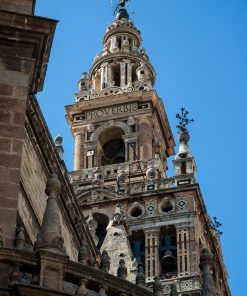 In the most popular areas it’s easy to suddenly find yourself surrounded by tourists but David would cleverly and swiftly steer us down a small Calle and we were on our own again, yet not missing out on anything but seeing even more than the crowds. David is very knowledgeable; informative with just enough facts but without it sounding like a history lesson. It is more like a friend showing you around their much loved city. After three hours we walked over the river into Triana, the area David had chosen for our tapas tasting. He took us to three places, each time ordering several tapas wtih a different local drink to accompany. 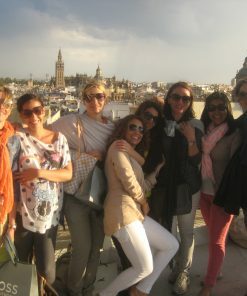 It was a brilliant introduction to the wonderful city of Seville and the Sevillan way of tapas ordering and eating. 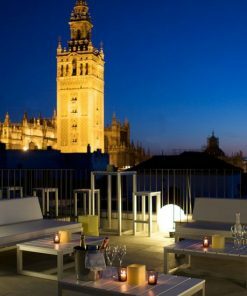 We would definitely recommend this company to anyone visiting Seville and will definitely contact them again on our next visit. 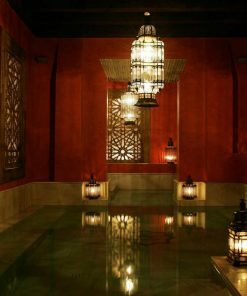 They offer various other guiding options including olive oil tasting which sounds fascinating. Really enjoyed every moment. The guides are friendly and efficient. 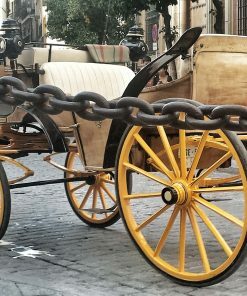 We did a day trip to cadiz and another day trip to Granada as well as a tapas tour. It was simply nice trying out different tapas that were so tasty and we could not find on any other menu if were by ourselves. The information about the wine was very good too and our guide even helped us to buy a few bottles while we were in the market. 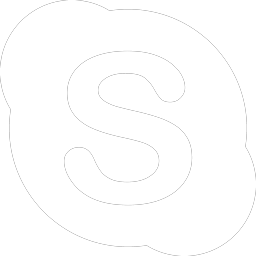 I would really recommend them. 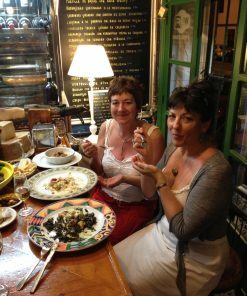 We have done a few food tours in our travels and the Triana Tapas Tour we did with (I think..) Esther was brilliant. It was just the two of us with Esther so we felt we were just having a night out with a local. All the food & accompanying drinks were delicious. 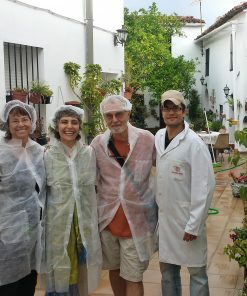 We visited four or five different places – all unique experiences within easy walking distance in the gorgeous Triana neighborhood. 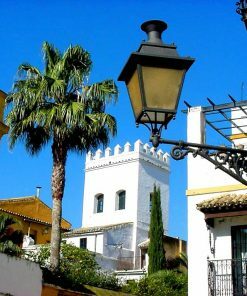 While in Sevilla in late December we used Not Just a Tourist for their Tapas Tour in Triana, and for an all-day excursion to the Pueblos Blancos (Arcos, Grazalema, and Ronda). Elena hosted us for the Tapas tour and she was wonderful. The only challenge was that we did this on the Sunday evening after Christmas, and many bars were closed. But she managed to find us some good places to visit, and we got to try some new foods and experience the tapas culture a bit. The next day we went with Esther to explore the “white villages.” We really enjoyed getting up into the mountains, and Esther was a wonderful guide for exploring these wonderful towns. Thank you Elena and Esther for helping us to understand Andalucia a bit better! Both tours were fantastic! It was just my husband and I for both tours and David was our tour guide. 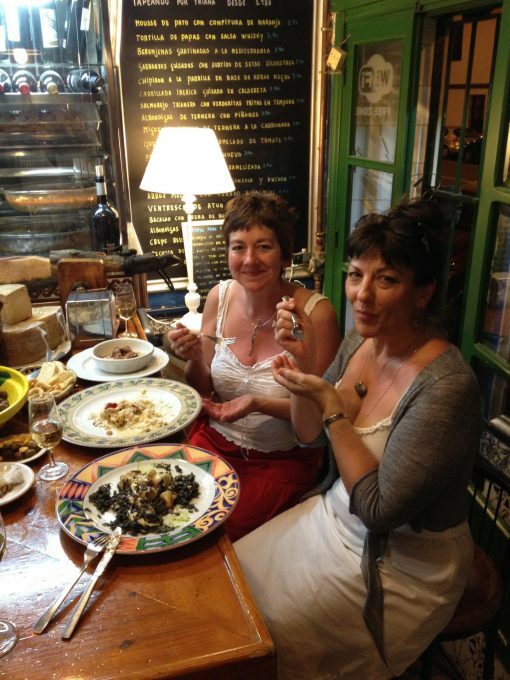 The tapas tour was so much fun- we got to taste food that we probably wouldnt have ordered and they were ALL delicious. David gave us history during the walk and knew so much about this beautiful city. The White villages tour was breathtakingly beautiful. It was a long day, but well worth it. David was an awesome guide and made our experience in Seville! We would definitely use them again and try other tours!!!!! We booked an evening tapas tour with Not Just a Tourist. It was really excellent. Numbers are limited to 8 which keeps the group small and we had the good fortune to have our lovely guide Sara to ourselves. I had hoped we would try some new food and learn about Sevilla and Spain and we definitely did that. We went to bars and restaurants we would not have tried ourselves and ate new dishes that we wouldn’t have known how to ask for! Sara was delightful company. She is a really interesting and friendly person and was great at answering all our questions. It was a very relaxed evening where we were able to chat about all sorts of things. Highly recommended. 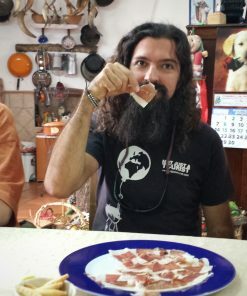 I absolutely recommend this food tour. Our guide Miguel was fantastic. He is so friendly, genuinely loves what he does and it shows. He gave us great selections of food and drinks and made us all feel very comfortable and taken care of. I’m so glad we went on this tour because I got to try tapas that I may have passed over and never knew what I was missing!  If you sign up, request Miguel! 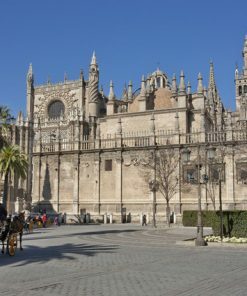 We visited Spain recently, including Sevilla. We had a wonderful evening with Mahsa. 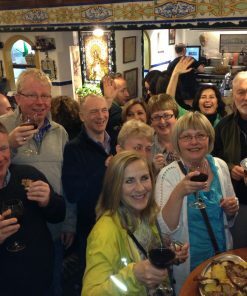 We did a tapas tour which was enjoyable. 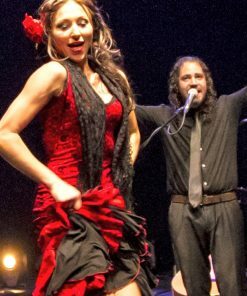 We highly recommend Mahsa; she was great !! I did 2 tours with them and both were great. 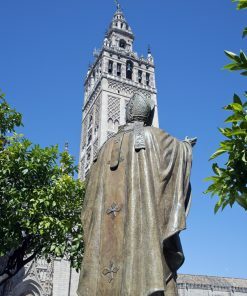 The “women” of Seville tour was a wonderful alternative perspective on how women (weak and strong) were involved in the history of Seville and Spain. Saw great sights, and learned things I would never have found out about. 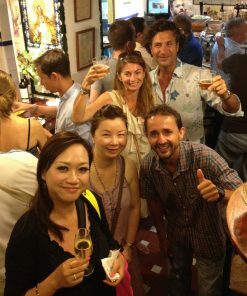 I also did the Triana Tapas tour with Mahsha and Davide. On this one we went to real bars and restaurants where locals go, as opposed to just touristy places. Such great energy in every stop. I loved talking to Mahsha and Davide about the city they love and all of their experiences. 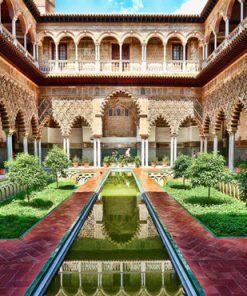 When I go back to Seville some day, I will definitely book this company for other “off the beaten path” experiences. 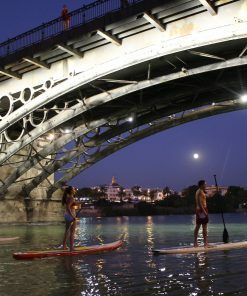 My husband and I booked three different activities through Not Just a Tourist for our 2.5 days in Seville: Triana Tapas Tour, White Villages Tour, Stand Up Paddling rentals. All three activities exceeded our expectations. 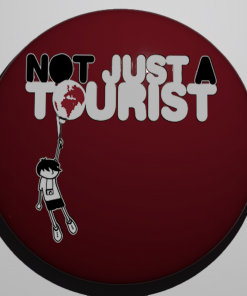 First and foremost, the intelligence and passion of the people who work for Not Just a Tourist are superb. Our guide for our Tapas tour – Sara – was fantastic. Our guide and our driver for our White Villages tour – Javier and Enrique -were also fantastic. 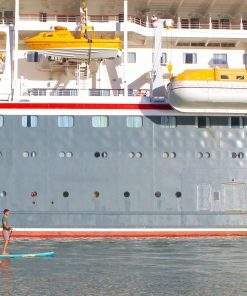 We didn’t spend much time with the guide who met us before and after we took out paddle boards, but he was also wonderful. My many email exchanges with Not Just a Tourist to decide on our activities were also handled so well. Here’s some pictures from our wonderful experiences. Deborah and Michael, Leesburg, VA.
Well worth paying the extra for a private tour. Our guide Alba was excellent, her knowledge of Seville was amazing and went the extra mile to make a memorable evening.